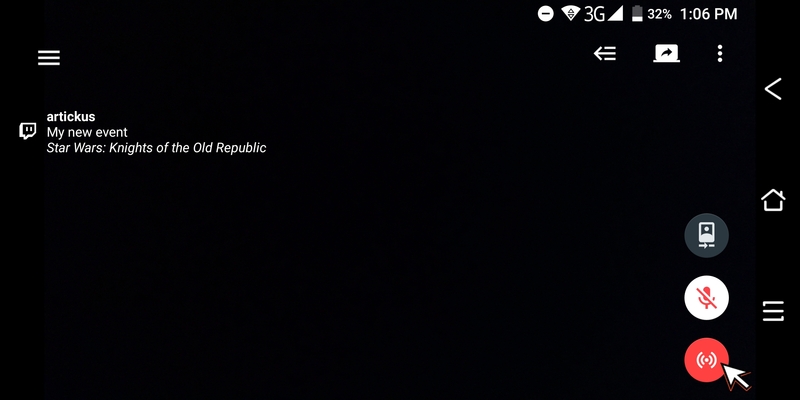 How to stream from a phone to Restream?! Mobile streaming. 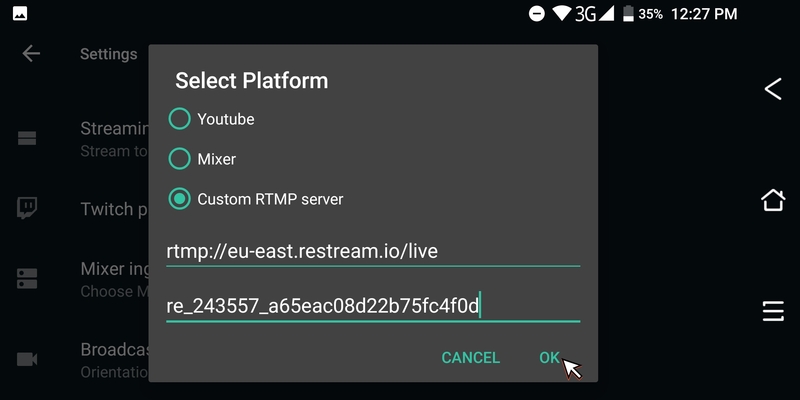 In order to stream to Restream with a mobile phone (mobile device), you need to use an application that supports "RTMP server" to be able to push your stream to Restream. 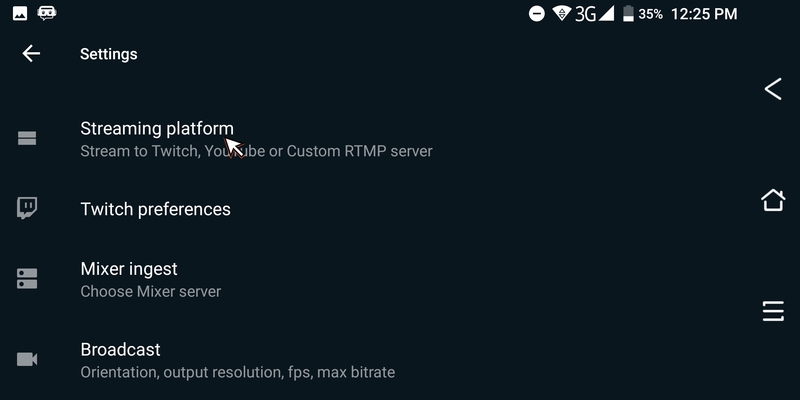 Streamlabs - is an Android and iOS application that allows you to stream using " Custom RTMP server" so it is easily compatible with our platform. 1. Start the application on your phone and chose Select platform in the main interface. 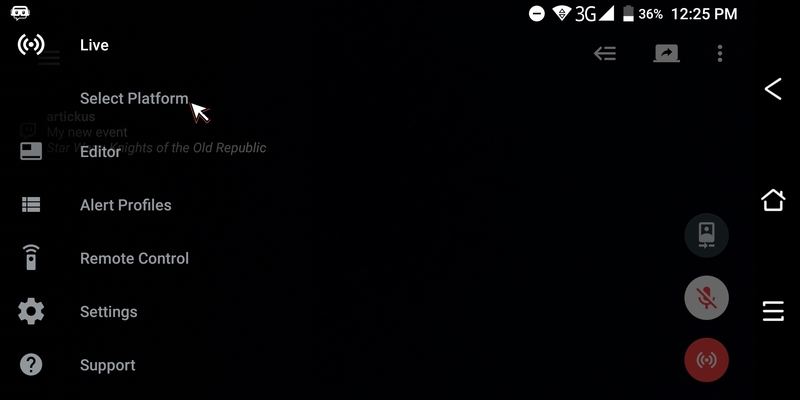 Or Streaming platform in the settings. 2. 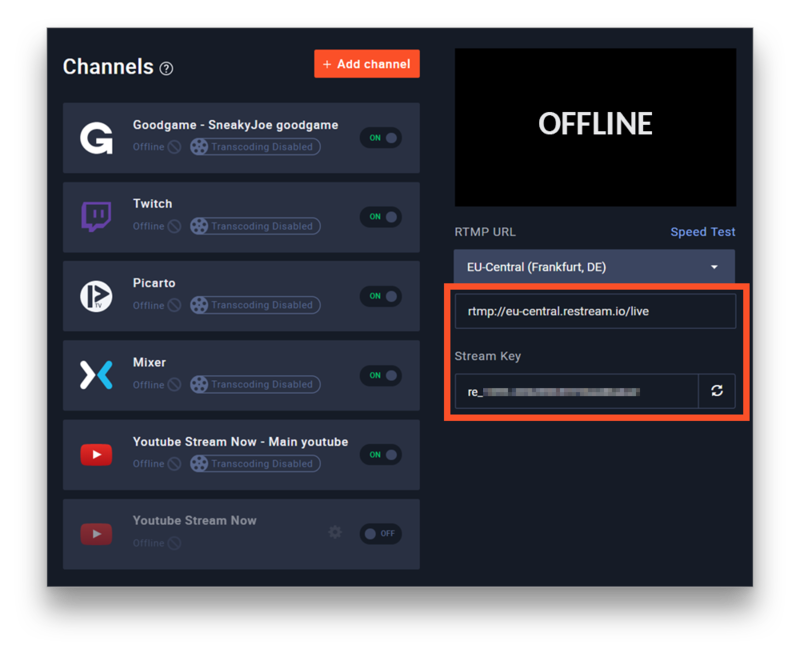 Go to your Restream Dashboard and copy your RTMP link and Restream stream key key on the right side. Tip: we recommend to copy this string to your phone instead of typing it in, as it's easy to make mistakes. The key and link are copied automatically as you interact with them in your phone browser. 3. Insert your Restream link and key in your Streamlabs and hit OK to save. 4. 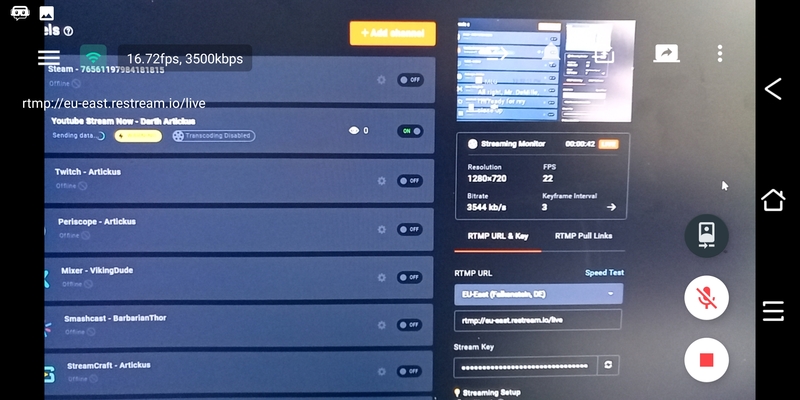 In the Settings you can edit your stream output in the Broadcast section. To set your bitrate and desired frame rate. 5. After you are finished with the output settings just hit the Live button and that's it! 6. You will see your stream live at Restream dashboard and delivered to all the destinations. Tip: Do not forget to add and enable all the platforms you want to stream to. 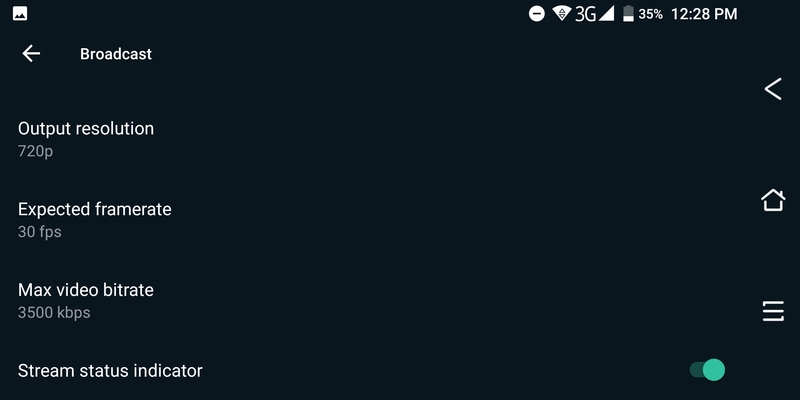 You can also learn how to embed your Restream chat in Streamlabs. Click here to head to our Knowledge base search engine. Would like to learn some tricks from the community? Can't find the right answer? Contact the Restream Support team via our Live Chat.